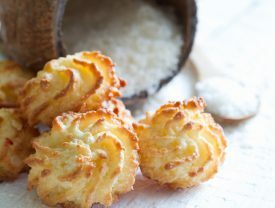 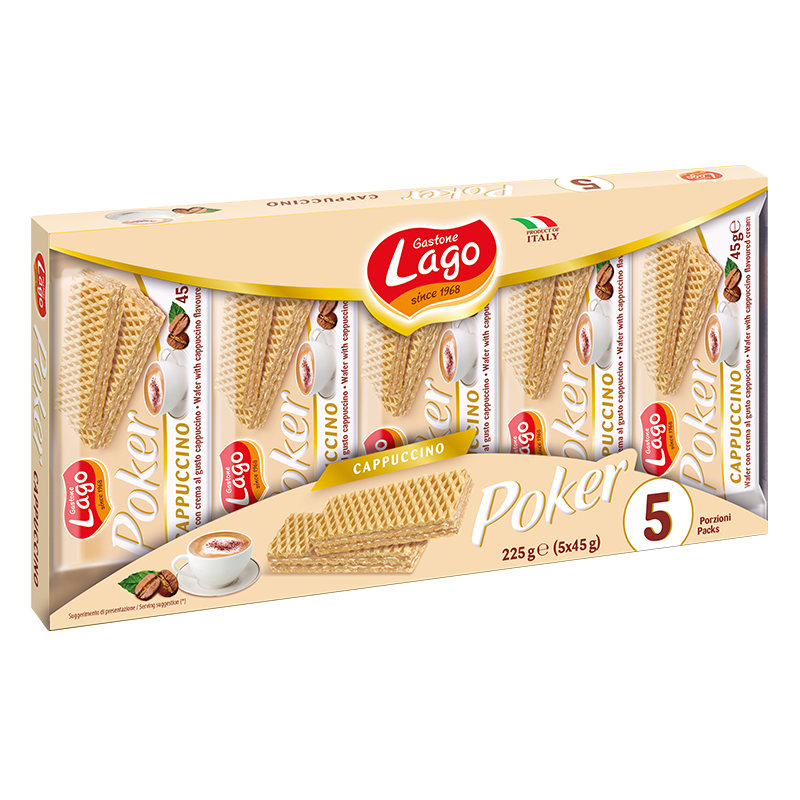 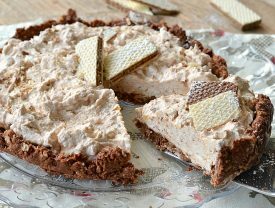 Crispy wafer and soft cream; the classic goodness of Gastone Lago wafers. 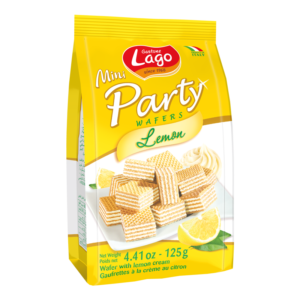 Available in the “Family Pack” size or in convenient portions so you may choose the flavour and shape you prefer. 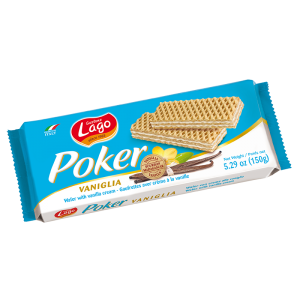 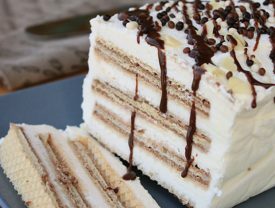 Trade name wafer with cappuccino flavoured cream (74%).